The rising sun casts a golden net over the vineyards of the Grand Valley, on Colorado’s Western Slope. The grapes seem to bask in the early morning glow as it burns off the mist and shares its warmth. If grapes had faces, they’d be smiling. This is Colorado wine country. Twenty-five years ago, most people never heard of it. But in recent years, Colorado wines have been holding their own in prestigious competitions, a sign that the industry is maturing. OK, it’s still young by California standards, but the wine industry in Colorado has taken giant strides in just a few years. With the dawn of Prohibition, the wine industry pretty much died in Colorado. In 1978, Colorado Mountain Vineyards (now called Colorado Cellars), resurrected the business. Others followed, but slowly. By 1990, there were nine wineries and by 2000, there were about 30 of them. Then came the explosion. Today, there are more than 100 wineries in Colorado, most family-owned operations. Colorado vintages began to win awards. So wine became cause for celebration. The granddaddy of Colorado wine festivals happens the third weekend in September (Sept. 18-21 this year), when the Colorado Mountain Winefest fills Riverbend Park in Palisade, just east of Grand Junction. Each year, thousands of people attend the celebration, where more than 40 Colorado wineries pour their best vintages for tasting. Remember that famous scene from “I Love Lucy,” when Lucy and Ethel were stomping grapes? Well, you can do it, too! Each year, there’s a grape-stomping contest, not to mention dueling chefs, gourmet food and artisan booths, winemaker dinners and a self-guided tours of the wineries. Like Napa Valley, the Grand Valley has developed dining, lodging and attractions to complement the wine theme. You can take a self-guided wine tour any time, stopping at local wineries’ tasting rooms to sample their wares. Some offer tours of the wine-making operation, too. If you really want to immerse yourself in the wine-country experience, consider spending a night at Two Rivers Winery, near Grand Junction. Besides being a lovely spot with great views of both the Book Cliffs and the Colorado National Monument, the winery is secluded and quiet. Two Rivers is known for its Cabernet Sauvignon, Chardonnay, Riesling and Port. Established in 1978, Colorado Cellars is the state’s oldest and largest winery. It produces everything from fruit wines (such as plum, peach and cherry), as well as port, Riesling, Gewurtztraminer and Merlot. On the side, they also produce grapeseed oil, salad dressings and some killer fudge. 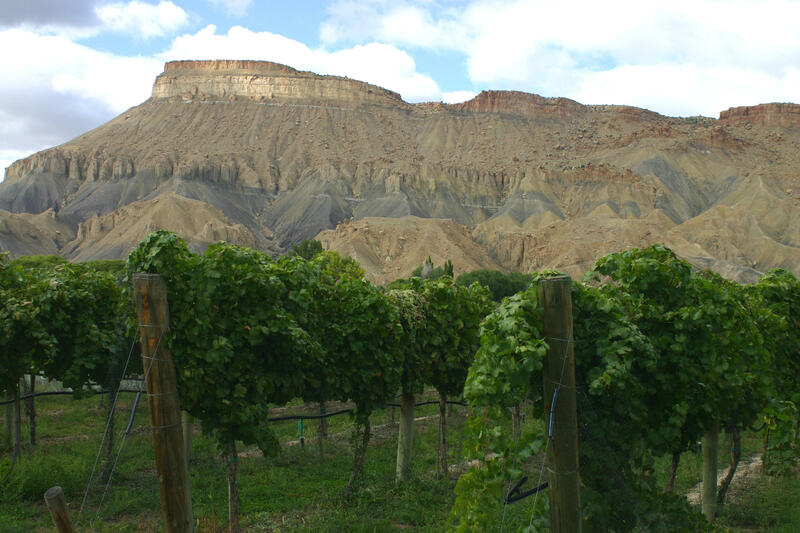 Carlson Vineyards prides itself on using all Colorado-grown grapes and fruits in its wines. Try its award-winning Prairie Dog Blush or sample the hot peach wine (they call it “cobbler in a cup”), or go with the Cougar Run Shiraz or Chardonnay or Fat Cat Muscat for a treat. 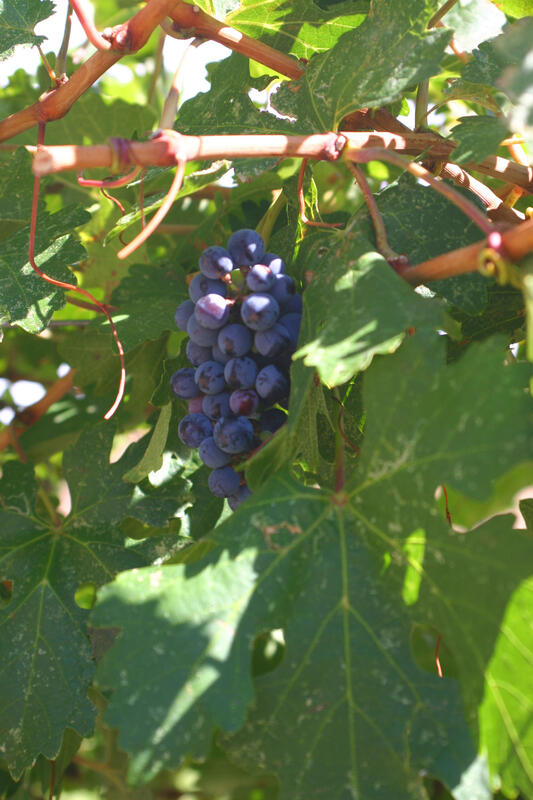 Plum Creek Winery also uses all Colorado-grown grapes. One of the state’s wine pioneers, Plum Creek began by making 400 cases of wine a year; now it makes thousands. Try its award winning Cabernets, Rieslings and Sauvignon Blanc. Canyon Wind Cellars credits the area’s loose, cobbly soil, sunny days, cool nights and yes, the wind that comes down the canyon, for its superb vintages. The award-winning Cabernet Sauvignon and Merlot are aged in Colorado’s only underground wine cellar. Garfield Estates, established in 2000, already has become a premier producer of wines, using only Colorado grapes to produce its Syrahs and Sauvignon Blancs. Also check out their unusual Ice Wine. Some wineries have gourmet food shops, and others have art galleries on site. Each one has its own personality. I guess the only way to discover which one you like best is to visit all of them! 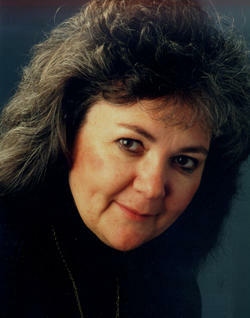 Linda DuVal is the former travel editor for The Gazette, a freelance travel writer and winner of several Lowell Thomas awards. She is the co-author of Insider’s Guide to Colorado Springs and writes a local Web site, Pikes Peak on the Cheap (www.pikespeakonthecheap.com). Colorado Traveler airs Sundays before the Splendid Table and Wednesdays at 11:55 am. Once upon a time, there was a little town southwest of Denver that served as the hub for a farming community. Founded by a surveyor-turned-entrepreneur, Richard Little, he named it for himself: Littleton. The town grew. Denver grew. Eventually their boundaries merged. But Littleton has retained its own unique personality despite its becoming what is commonly thought of as a Denver suburb. Step off the boardwalks onto the dusty streets of South Park City, and you step back in time. Is it too much, then, to ask that a pair of gunslingers appear for a shoot-out? This isn’t a Western ghost town – though you could fool some folks. It’s a museum in the old mining town of Fairplay. And it’s nothing like the adult cartoon series on TV. No snarky little kids, crude language or dark humor. Just history that practically comes alive before you.